The same engine, the same transmission, the same basic shape, but two individually tuned cars sold wearing three different badges around the world. So, which one to buy? Here's comes help. 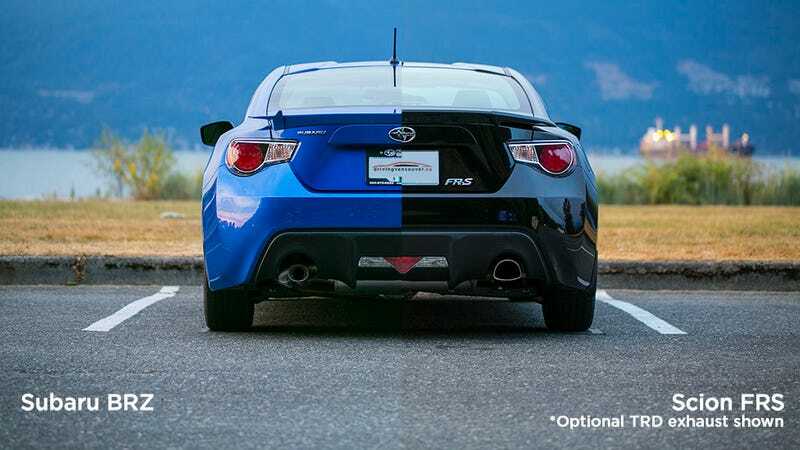 Most of you know that the Subaru BRZ is the better equipped and more mature car of the pair, while the Scion FR-S is mainly about oversteer and fun. But there's much more to consider when deciding between the two. The guys over the border at Driving Vancouver put together this great buyer's guide to show us that there are in fact two headlight options with the FR-S alone, and while you get nice stitchings on your steering wheel with the Scion, if you want Alcantara seats, you will need to buy the Subaru. Which doesn't have the cool 86-piston badges. It's a tough choice! Hat tip to Sam Pat!